June. The month where summer officially starts but we all wish it was a little sunnier. The month where Wimbledon delights the public and we celebrate our fathers for all they have done for us. Make the most of London in the month of June with some great suggestions from The Bentley. At The Bentley we want to make sure you are making the most of your time in London by providing you with luxurious accommodation, activities and events to attend during your visit. With Father’s Day fast approaching it’s time to plan an amazing day out in London visiting the sites, Museums and enjoying a delectable lunch. Why just make plans for a day when you could truly show your appreciation and make it a weekend away in London. Here you can find the best assortment of pubs, theatres, restaurants and so much more. No matter your fathers taste there is something for you to do together. Dine in luxury at The Bentley where we offer private dining and special offers to make the most of your stay. Find our menus here. Did you know the first Wimbledon championship took place in 1877? This makes it the oldest tennis tournament in the world. It’s enriched with tradition as well as modern influences. 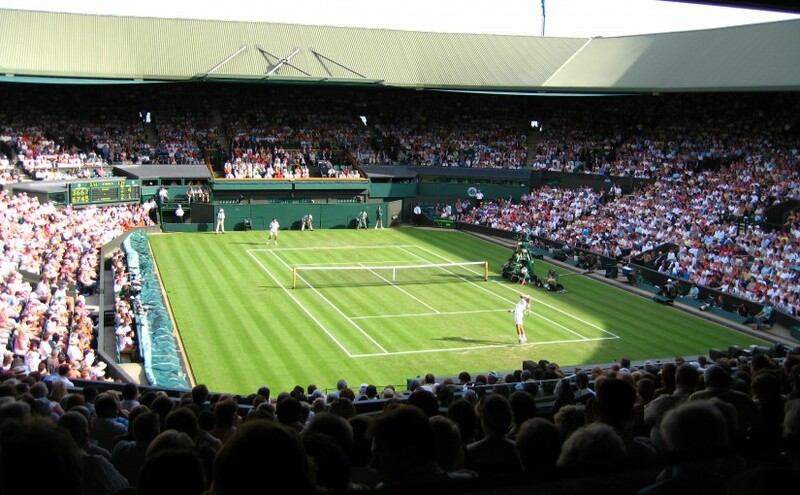 For instance Wimbledon once used white balls, however when the events started to be film they changed the ball to yellow to allow it to be seen more easily on television. Going to Wimbledon is a must do this June. The atmosphere is buzzing and welcoming for anyone from anywhere. You don’t even need a ticket to go. Henman Hill (Murray Mound) offers a huge screen for your watching pleasure. Just grab a picnic blanket and some Pim’s and enjoy the Wimbledon experience without splashing out. Of course nothing compares to being on Centre Court seeing first hand athletes competing for the beautiful Wimbledon trophy. Just be sure to book tickets soon, because they are in high demand. There is so much London has to offer this June so why not book a stay at The Bentley. Find out about our latest offers here, to get the most of your visit.